Apple is now offering discounts on popular productivity apps for iOS. All of them are high quality apps such as Fantastical 2, Clear, Pcalc etc. that allow you to manage your daily tasks, scan documents, perform calculations etc. The apps are on sale for only a limited period of time so if you ever wanted to purchase one or two of it before, this is the right time. Make sure not to miss this amazing chance. 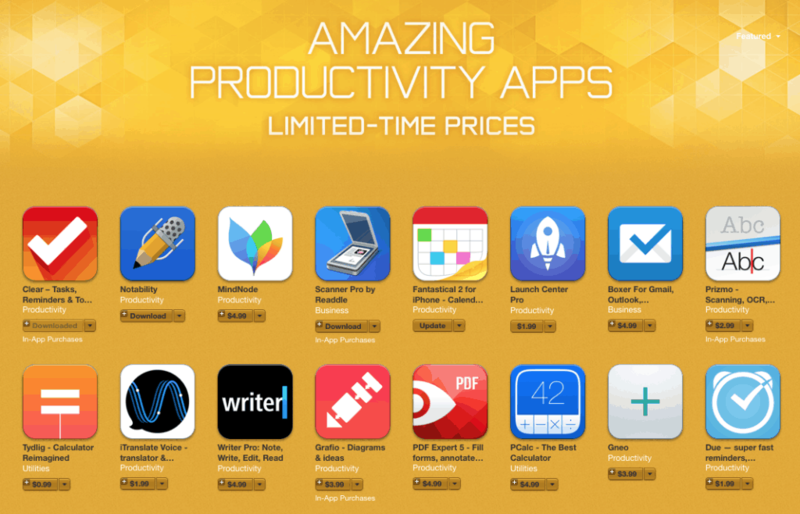 You can find the discounted apps on iTunes App Store under a section titled ‘Amazing Productivity Apps Limited-Time Prices’. If you haven’t purchased any of these apps before, make sure that you buy them now before they return back to their original price.